I internally chuckle every time I’m asked this. What on earth did our parents do without a diaper pail? No, our trash doesn’t smell like diapers. We’ve developed a nice system to battling diaper odor while not using a diaper pail, and I’m happy to share it with you today! Maybe you’re a first time mom who is trying to decide if a diaper pail is right for you. Or maybe you have one and are considering getting rid of it but you aren’t sure what to do with the diapers if you do. Here are four tips that work for our family. Please keep in mind that we are a family of multiples, and this is the process that we have found that works well with having three in diapers at the same time. We have a medium sized trash can with a lid that we use for primarily diapers only. I will occasionally throw other baby related garbage in there, but for the most part it’s only diapers and wipes. The trash can has a swinging lid, and it does well at not letting any odor escape. We change the trash can at least every other day. If you’re selecting a size of trash can to use for diapers, I suggest choosing a small to medium size, depending on how many diapers you are changing a day. 2. 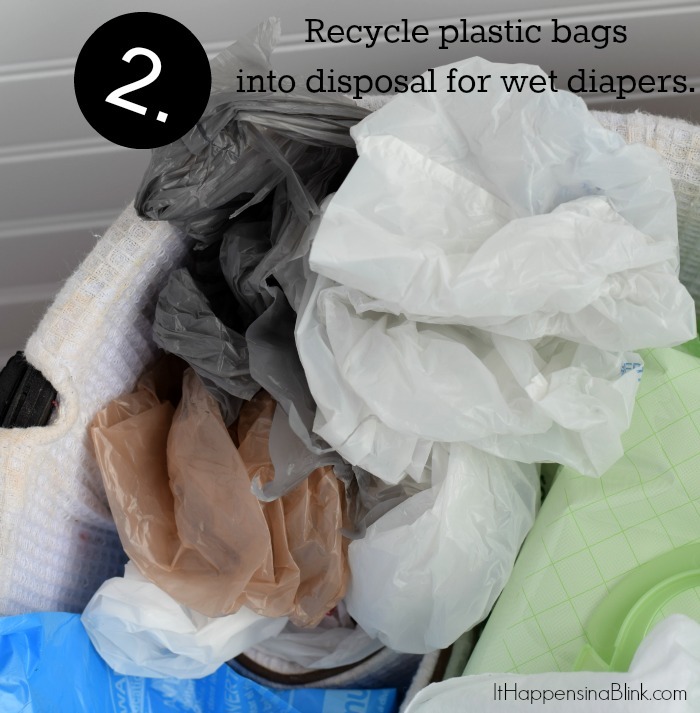 Recycle plastic bags into disposal for wet diapers. Don’t toss those plastic bags from the store without a diaper in them! Use plastic bags from retailers to wrap and tie up wet diapers before throwing them in the trash can. This will help trap the odor and create another barrier between the odor and the can itself. 3. 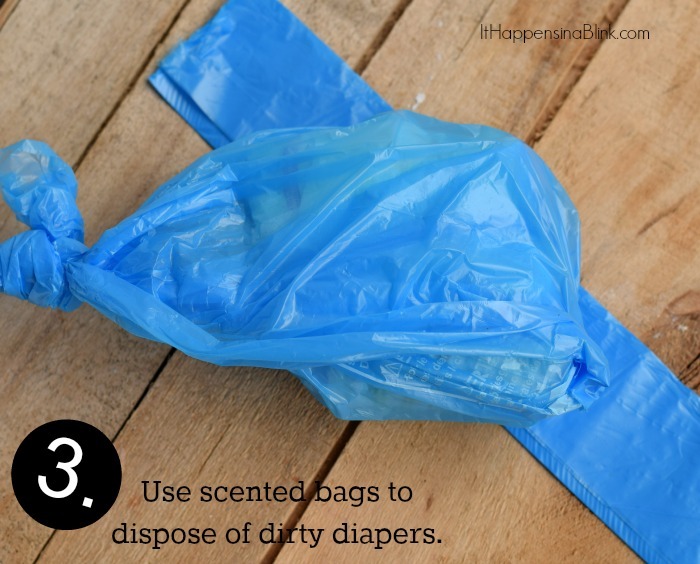 Use scented bags to dispose of dirty diapers. Discount dollar stores sell these scented bags in quantities of 50-100 (depending on where you purchase them) for a buck! Keep them handy for dirty diaper changes before tossing the diaper in the trash can. We do have a diaper changing basket that conveniently houses our diapers, wipes, diaper cream, and bags. I keep this nearby for all diaper changes. 4. Invest in a home fragrance system. I used to be a candle junkie. When I had kids, that changed. I didn’t want any type of open flame around that could be a hazard with the kids. Even kept out of reach, I’ve learned that kids are good climbers and can get into pretty much anything! Other scent systems, like the ones with the liquid that plug into electrical outlets or the ones that use wax, pose different hazards of their own when kids are around. But a fragrance system is helpful in any home where diapers are being changed. Even though my diaper trash can odor is under control, sometimes an odor can linger simply from where I changed a diaper. So we utilize a home fragrance system a few times a day. One awesome resource that I’ve recently discovered is the AromaBreeze home fragrance system. It is unique because it uses absolutely no flame or wax. Fragrance inserts provide the scent, and the unit is powered by a fan. Of course, I still keep it out of reach of the kids, but it’s a great home fragrance system for those who have children and pets. There are lots of designs from which to chose, and it can be plugged into a wall or operated by battery power (think on-the-go mobile!). This video from AromaBreeze showcases a few of the other styles. You can also see them at ScentSationals.com. It only takes minutes to set-up the unit while following the instructions very carefully. I’ve put together a short video demonstration of how easy it is to install! Another thing that I like about the AromaBreeze home fragrance system is the variety of available scents. The scents can be changed out whenever you want a new variety. 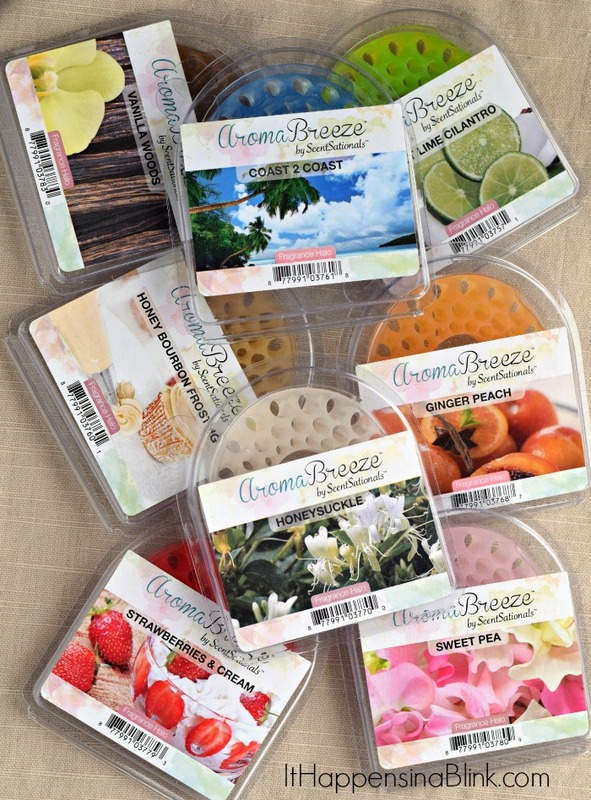 The AromaBreeze Home Fragrance System is available at select Walmarts or Walmart.com. They are located on the same aisle as the candles and other home fragrances. So what about your home? 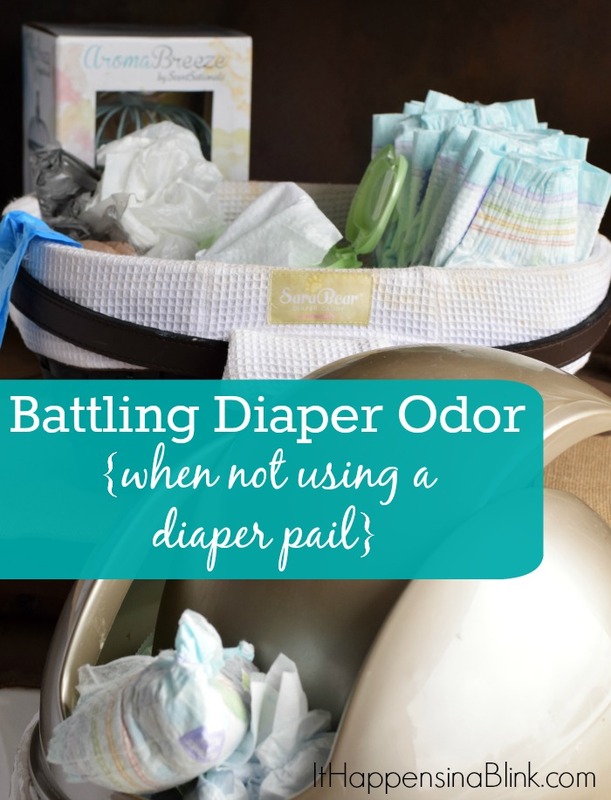 If you have little ones in diapers, do you use a diaper pail? With our first we went thru 2 diaper genies and then when our next we were a little bit brighter and went w/ the recycled plastic bag right in the garbage route. So much easier. If only we knew w/ our first, what we know with our second AND third! I love having a fragrance routine! I have specific candles for specific rooms that I need to clean, and I light them when I clean and as I go. 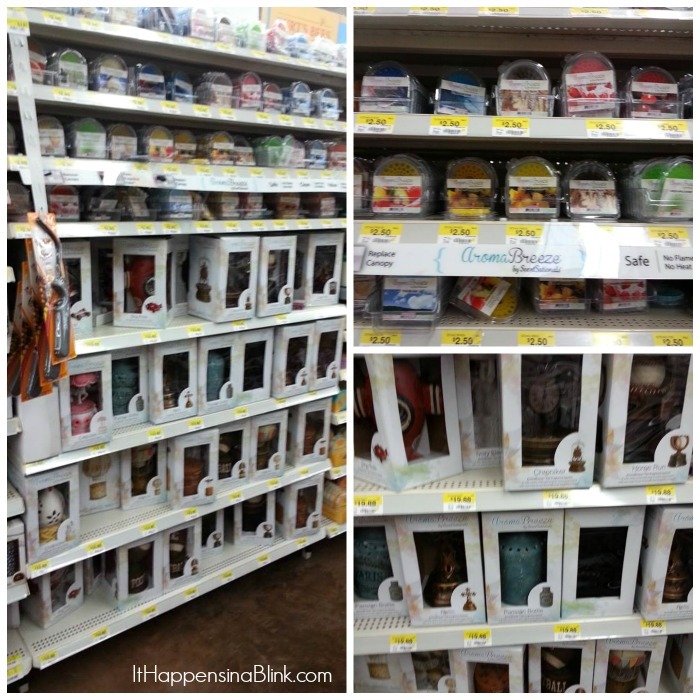 I am sure I would need 10x more candles for battling diaper odor! Thanks for sharing your tips! 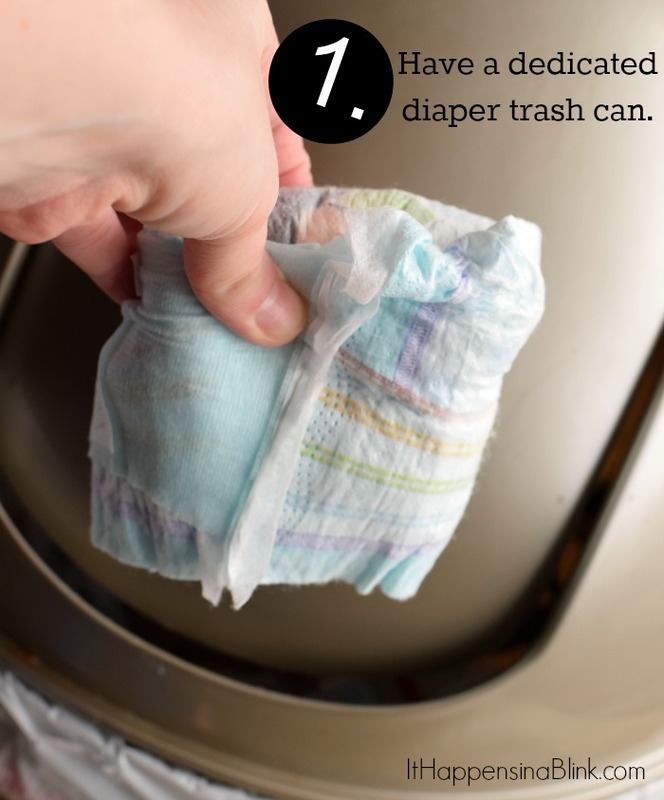 We use a diaper pail and I still feel like these tips should be used in our house! I love a yummy smelling home! 🙂 We are about to have to beat the diaper smell in August when Leyton comes! Love the idea of a great scent with no flame!!! Obviously so much safer but I love that i don’t have to give up my “candle” obsession! So sad to say, I was one of those moms who went with a diaper pail. And I’m not sure how I would live without it, but if I ever move and get rid of it, I’ll have to try these things! I loved my Diaper Genie, but the refills were so expensive that we would stretch it out by never putting wet diapers in it. 🙂 We also made sure to have nice smelling candles or warmers in the house! 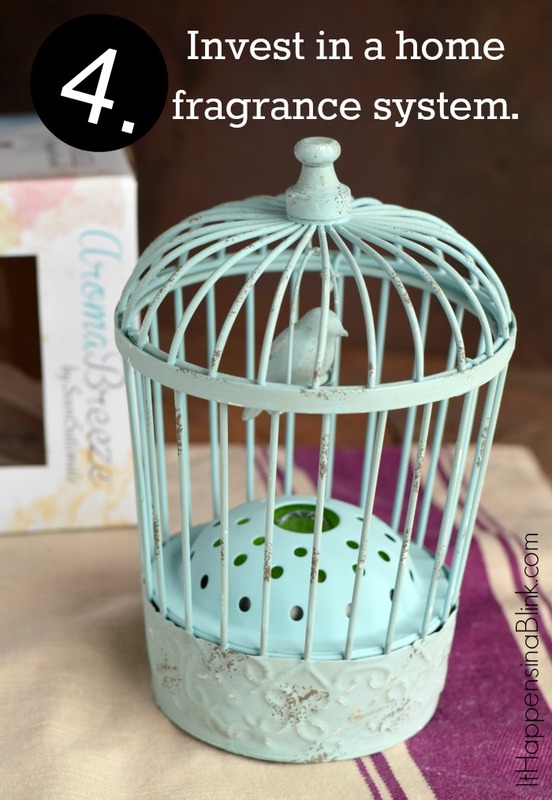 I love the little bird cage! No babies here, but I can see how these would be great for any home, including ours. I didn’t use one either, just took the trash out a lot! This is a great idea!